Watching a loved one struggle with their mental health can leave you feeling like there is nothing to do to help or support them through their illness. As every person’s battle with mental health conditions, and their treatment, differs extremely sometimes it can feel impossible to know how to help. However, your support and encouragement could be extremely beneficial throughout their recovery, helping them to overcome negative thoughts and depressive symptoms as well as helping them to regain their energy for life. If you’re dealing with friends, family and mental health support, the following tips could be helpful. Sometimes a small gesture can go a really long way in lifting your loved one’s mood, or improving their day. Something as simple as dropping a bouquet of their favourite flowers to their home, sending an encouraging text or voicemail to let them know you’re thinking of them or turning up at their house with the ingredients to cook them their favourite meal can be the gesture they need to make their day. Often, especially when battling mental health conditions such as depression, leaving the house, eating three times a day and ensuring there is food in the kitchen can often slip down the list of priorities – popping round with a meal or a food shop can often be a lot more helpful than simply providing a few hours company. Often feeling like you’re alone is one of the hardest parts of battling a mental health condition, letting your loved one know that your there for them can be extremely beneficial towards their recovery, and preventing their symptoms from reoccurring after a period of ill mental health. Sometimes it can feel impossible to reach out and ask for help, support or company when you need it – instead of waiting for your friend or loved one to call you, send them a message once a day to check their ok, call them a few times a week and pop round as often as you can to let them know, despite what they might think, this is not something they have to go through alone. No two mental health conditions are the same, and equally the way each individual deals with the symptoms of mental health also varies from person to person. Understanding more about a particular mental health condition and the treatment they’re undertaking to feel better again, can help you to be much more supportive and, more importantly, understanding of the condition and treatment process. Educating yourself in your loved one’s particular condition can prevent you from misunderstanding what is happening, as well as making it easier for you to understand, for example, why your loved one might be acting in a particular way – taking a load of your shoulders. When someone is having a hard time, it is human nature to try to assist them in feeling better – often by providing our own advice based on our own life experiences, things we have read and television shows we have watched. However, un-educated advice could be extremely unhelpful for someone who is struggling with their mental health. Like with all medical problems and situations, advice should only be taken from a practicing doctor or psychologist. Giving the wrong advice or saying the wrong thing could set back your loved one and undo anything they may have already done to get better. Periods of ill mental health can last anything from a few weeks to a lifetime and if not properly managed with the help of a professional it can be extremely difficult to recover. 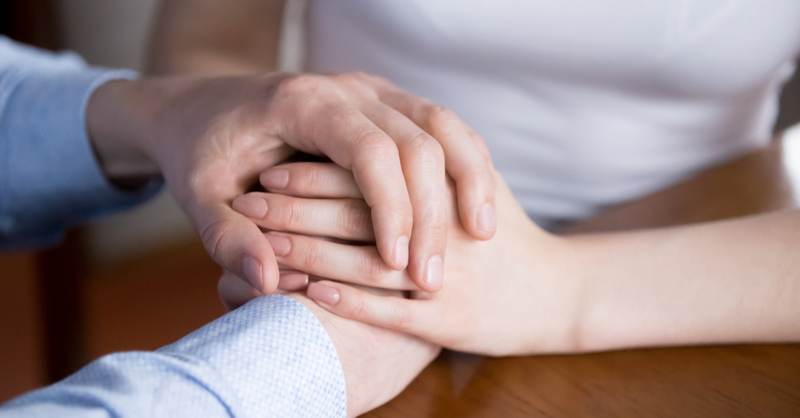 Even with the support of a professional it can take months, or even years to feel like yourself again after a mental health battle and it can extremely difficult to watch your loved one struggle for such a long period of time. No one’s recovery is the same and maintaining support, even when it feels like you’re doing nothing can be extremely difficult. Be patient with your support and make sure if you’re going to support a loved one that it will be for the long run, and not just in the beginning. No matter what you do to help your friend or loved one through their battle of mental health there is no magic wand you can wave to make them feel better, to speed up their recovery process or to change the way they’re feeling. Despite learning more about their condition, offering support and always being there, it is important to understand that you cannot “fix” their mental health and make them “better”. However, your love, support and understanding can be extremely assistive on their road to recovery and throughout their treatment. As frustrating as it can be to watch someone you love experience such a difficult period, recovery is often in the hands of the person who is struggling and not something you can rescue them from. If you think one of your friends or loved ones is struggling with their mental health, try to reach out and let them know you’re there for them if they need you and try to ensure they are receiving the treatment they need to get back on the right track. Encourage them to speak to a professional about how to best deal with their symptoms – whether it be through a form of therapy, medication or a combination of both. My Online Therapy offers a unique online therapy service – offering you everything you need from your therapist – from the comfort of your own home. Learn more about the services we provide and the range of mental health conditions we can assist with on our website.